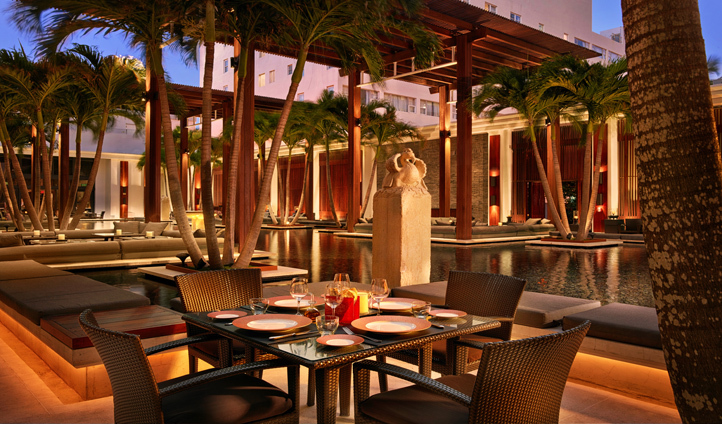 Discover The Setai, an intimate oceanfront luxury resort, perfectly positioned in the heart of Miami’s chic South Beach. 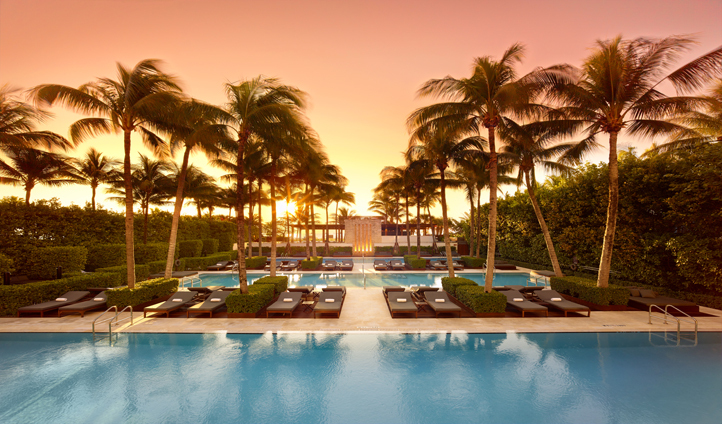 The Setai’s design artfully combines the architectural history of South Beach’s Art Deco District with a Far Eastern aesthetic, with stylish results throughoutthe 120 rooms. This exclusive hotel is a cutting edge oasis, escaping the electric energy that pulsates throughout the city and will satsify your every whim, with a 24/7 ‘whatever, whenever’ policy. Coming in from Miami International Airport, we can arrange to swiftly deliver you to The Setai, on the ultra fashionable Collins Avenue, in just 30 minutes. Cruise through an oasis of swimming pools and manicured tropical gardens, leading down to the white sandy shores of the Atlantic. Miami is a modern mecca and still remains one of the trendiest and flashiest hotspots. Time to fix up and look sharp. Check out your surroundings and strut your way down to view the sophisticated sights of Miami’s Art Deco District. There’s something for everyone in Miami’s sprawling metropolis. Shop on Lincoln Road, rub shoulders with art afficionados in one of the myriad of art galleries, sample culinary delights in the blossoming food scene or respond to the Latino pulse that drives the vibrant nightlife around Ocean Drive. Miami is anything but boring. Make yourself at home and take your pick from one of The Setai’s 120 bespoke rooms & suites. Each gives off a homely feel and is complimented by Asian inspired service, tailormade to each guest. You can expect your room to have clean lines, soft silhouettes, polished natural woods and sandy-coloured ceilings which frame the wide sea vistas beyond your panoramic floor-to-ceiling windows. With all the very best amenities at your disposal, what’s not to love? Inside The Setai, the superior service allows you to take on a true VIP attitude. Instructors in the air-conditioned gym are ready to assist, private yacht skippers are standing by for your charter, golf pros will tune your swing and tennis coaches will beef up your back-hand. You can even go deep-sea diving. And after all that, you may feel like a bit of yoga and time in the THEMAE spa to unwind. We love the fact that staying at The Setai leaves you surrounded by calm and pampered by choice. Doze in the dappled sunlight and sip on a signature in house cocktail at the Bar and Cocktail courtyard and when you feel it’s time for a little refresh, slip into one of three iconic temperature-controlled pools. Feeling hungry yet? Why not treat your taste buds at The Setai Grill, one of the three acclaimed restaurants this luxury resort has to offer. Step outside again and you’re immediately immersed in the hippest city centre the US has to offer.